This past holiday break was well needed. I think that everyone in my house needed the break, and rest for that matter. With that said, I was off my normal morning routine for the most part in terms of breakfast. For the most part, I skipped breakfast which I normally never do. My normal routine typically consists of making a fruit filled smoothie consisting of a banana, lots of blueberries, a bit of yogurt, and some milk and juice. The bananas looked at me every morning, and began turning color and getting pretty darn ripe. When that occurs, I can only think of doing one thing, and that is making bread with it. It is one way I can get all of the kids eating bananas, yes, it’s that bad when it comes to the banana. My kids love banana bread, so I figured I would take a different approach, simplify my recipe, and add a bunch of chocolate chips. It could have been the best banana bread I’ve made thus far, and the kids would agree. To your mixer, add the bananas, sugar, butter, egg, and vanilla. 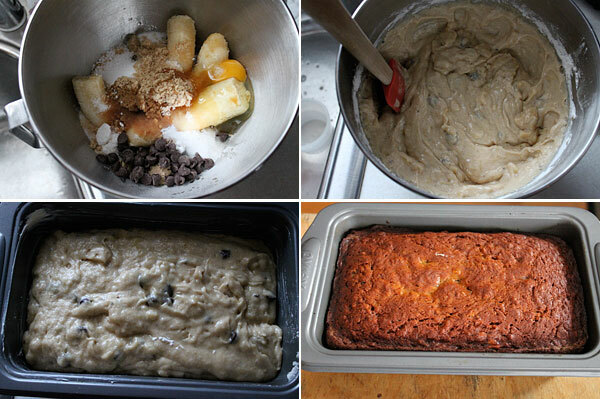 Mix until everything is combined, then add in the baking soda, flour, salt, and chocolate chips. Butter your bread or loaf pan, then pour in the mixture. Cook for roughly one hour, or until a butter knife runs clean when inserted in the middle. Remove from the oven, and let cool, for about one more hour. 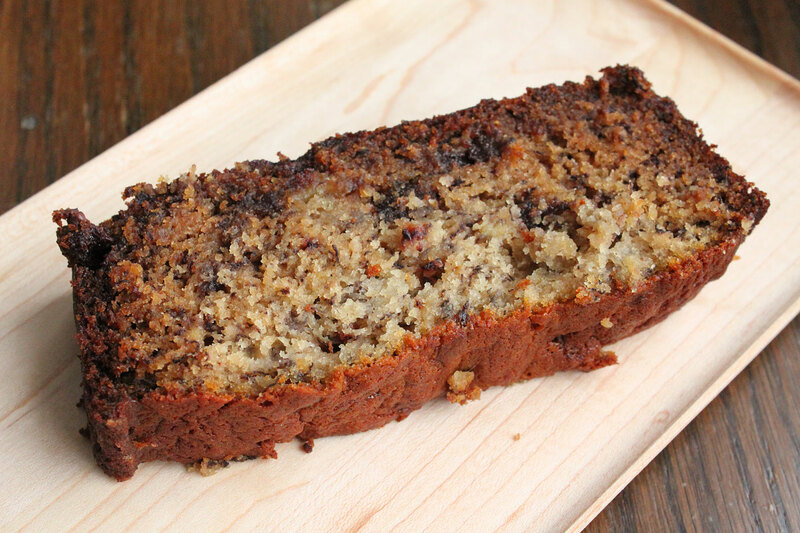 The end result is a super moist banana bread that is perfectly balanced with the chocolate, and who doesn’t love that? I hope you enjoy.